The new best approach to learn about Android App Development is to choose online resources. This interactive based learning program sessions will give you an in depth knowledge and focus to develop your own Android Apps. Attending video lessons and learning it thoroughly will give you a full-fledged knowledge base in Android App Development. 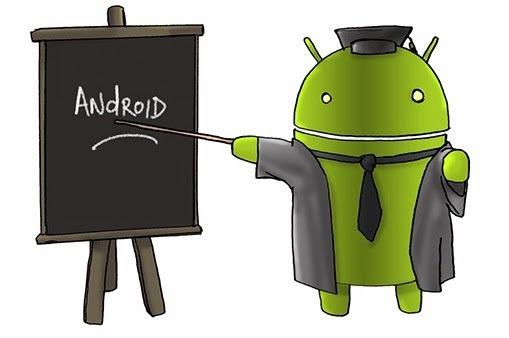 Soon you are a professional Android App Developer. There is no limitation or criteria to learn about Android App development. The basic knowledge of Java, IDE and Eclipse will give you complete learning experience to develop Android Apps. Google Android is an independent platform and opens to all resources for its application. There are many mobile companies that are choosing Android OS for its mobiles and this gives a rise to the demand for Android Apps. Getting started with your first app will soon put you through many more App projects that can develop independently. Learning through online will explore your knowledge about Android App Development. There is an increasing demand for Android Apps in business, health, science, medicine, entertainment, games and in several other areas. As a successful Android App Developer you can sell your mobile apps through online. You can set the price and sell it online. There are quite a number of companies that are looking for Android App Developers who can design customized apps according to their requirements. As an App developer, you will receive latest Android versions that you can use in development of Apps and this is very useful as a long term career goal. Google will release latest versions and you can stay ahead with the advancements made in the development of apps. Google Play Store continues to have thousands of apps in its store and continues to invite more App developers keeping in view of the interest of app users. While there are many advantages with Android Apps, there are more interactive and flexible in many ways. Setting your career as a mobile app professional is most ideal in these fast pace mobile technology emerging times. As a beginner when you learn about Android App, you will surely find it as a state-of-art technology that is being included in mobile technology to render many more advanced and general features both for the purpose of business and for entertainment. Choosing Android App course and pursuing it successfully will not only generate many more resources and will help you to take up new challenges in App world. This is really useful and highly beneficial. Creativity and innovation has a lot of scope in the world of Apps. The handsome experience that you gain from the development of different apps will give you expertise and different technologies applied in apps can make a coordinating technology professional in apps. The tools and developing environment has a wide variety of lists and you can choose depending on your proficiency in a respective area. Android SDK has all the required API libraries and tools that are necessary to build, test and upload apps. ADT (Android Developer Tools) is the most well used component and it is a version of the Eclipse IDE. This will streamline Android app development. This is the latest platform that will allow you to develop most powerful and error-free apps in Android. ADT has Eclipse _ ADT plugin + Android SDK Tools + Android Platform-Tools + The latest Android Platform + The latest Android system image for the emulator.